Note: Here is part of the exposition of Luke 22:40 from Sunday morning’s sermon. 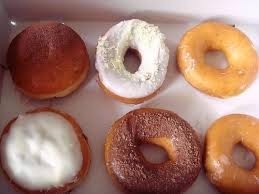 And when he was at the place, he said unto them, Pray that ye enter not into temptation (Luke 22:40). Luke here records, as do Matthew and Mark, that Jesus exhorted his disciples on this occasion to pray that they fall not into temptation (v. 40b; cf. Matt 26:41; Mark 14:38, each adding a statement from Jesus that to the effect that the spirit is willing, but the flesh is weak). This reminds us of the petition in the Lord’s prayer: “And lead us not into temptation” (Matt 6:13; Luke 11:4). No doubt, Jesus has in mind here the trial that the disciples are about to undergo when he will be arrested, and they will all desert him. He had told them that Satan has asked permission to sift them as wheat (see v. 31). Now he is telling them to pray that they do not succumb to temptation and, in particular, to the temptation of apostasy. What had he prayed for Peter? That his faith would not fail (v. 32). If Jesus made this command of the original disciples would he not make it of us? Have you ever considered that Jesus wants us to pray that we not succumb to the temptation to apostatize, to turn our backs on the faith, to be like Judas who betrayed him; to be like Demas who forsook Paul “having loved this present world” (2 Tim 4:10; contrast Col 4;14; Philemon 1:24 where he is counted among the saints); or to be like Hymenaeus and Alexander who “made shipwreck” by putting away the faith (see 1 Tim 1:19-20)? I once knew a young man who was a professing Christian and who had even worked in the “media ministry” of a progressive, “relevant,” contemporary church in his hometown. He had begun attending the church where I was minister and then suddenly dropped out of sight. I inquired to express concern and discovered that, after encountering the writings of Ayn Rand, he had decided he was no longer a Christian. 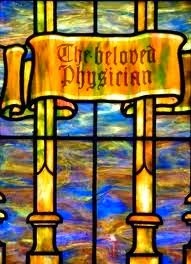 Have you ever considered that God may use our payers for our perseverance in the faith as part of the divinely appointed means for keeping us in the faith? This is why Jesus tells his followers to pray that they enter not into temptation. NIV Luke 22:31 Simon, Simon, Satan has asked to sift you as wheat. The traditional text is supported by Sinaiticus, Alexandrinus, D, W, Theta, Psi, family 1, family 13, and the vast majority. The modern critical text is supported by 5 Greek manuscripts (according to NA 27th ed): p75, Vaticanus, L, T, and 1241. This variant is not addressed by Metzger in his Textual Commentary. It is apparently deemed inconsequential given much more significant textual issues in Luke 22, including vv. 17-20, to which Metzger gives 5 pages (pp. 173-177), and vv.43-44. No doubt, the introduction “And the Lord said” is viewed by most modern text advocates as an attempt to smooth out the narrative and to make less awkward the transition from Jesus’ words spoken to the disciples, beginning in v. 25 with “and he said to them [ho de eipen autois],” and his words directed specifically to Peter, introduced by the double address, “Simon, Simon” in v. 31. 1. It is consistent with the general narrative flow in which the words of Jesus and the disciples are introduced with “and he said” or “and they said.” In context of chapter 22 alone, compare Jesus’ words introduced with “and he said”: vv. 10, 15, 25, 34, 35, 48, 52, 67 (cf. also vv. 17, 19, 36, 40, 46, 51, 70). 2. It is consistent with Luke’s theology to ascribe to Jesus the title of Lord (kurios; cf. Luke 2:11; 3:4). It is also consistent with Luke’s narrative style both to have persons refer to Jesus as Lord (5:8, 12; 6:45-46; 7:6; 9:54, 57, 59, 61; 10:17, 40; 11:1; 12:41; 13:23; 17:37; 18:41; 19:8; 22:33, 38, 49; 22:61; 23:42; 24:34) and for the narrator to refer to Jesus as Lord (cf. Luke 7:13, 31 [omitted in modern critical text]; 10:1; 11:39; 12:42; 13:15; 17:5, 6; 18:6; 19:8, 31, 34; 22:61; 24:3). We should note, in particular, Luke’s specific use of the introduction “And the Lord said [eipe(n) de ho kurios]” in Luke 7:31, 11:39; 12:42 [kai eipen ho kurios]; 17:6; 18:6. Clearly, this is a typical Lukan usage. Of course, the modern text critic can appeal to this same evidence to argue that the phrase “And the Lord said” was an intentional effort to smooth out the narrative, consistent with Lukan usage. This would indeed have been an adept scribe who would have done so! If this is so, then it is a wonder that some less adept scribe did not insert simpler alternatives like “And Jesus said to Peter” or “And he said,” but such variations are not cited, at least, in the NA apparatus. 3. We might ponder why a smoother text is immediately suspect of being secondary. This is a matter Van Bruggen ponders in his insightful essay “The Ancient Text of the New Testament” (Premier, 1976): “Moreover, it is methodologically difficult to speak of harmonizing and assimilating deviations in a text, when the original is not known. Or is it an axiom that the original text in any case was so inharmonious, that every harmonious reading is directly suspect?” (p. 32). Furthermore, it is certainly conceivable that this short phrase was accidentally omitted in one or more early exemplars and this error was then perpetuated in others. However, the error was caught and corrected by the majority tradition which retained the phrase. The external support for the inclusion of “And the Lord said” in Luke 22:31 is ancient and weighty. Here is another example where even the twin heavyweights so highly prized by modern text criticism are divided. Sinaiticus includes it, while Vaticanus excludes it. In fact, only five Greek manuscripts support omission. There is ample internal evidence that argues in favor of inclusion, including the fact that the phrase is typical of Luke’s distinctive narrative usage. Thus, there is no compelling reason to depart from the traditional text reading of Luke 22:31. Note: Here are some notes from the exposition of Luke 22:31-32 from last Sunday morning’s sermon. 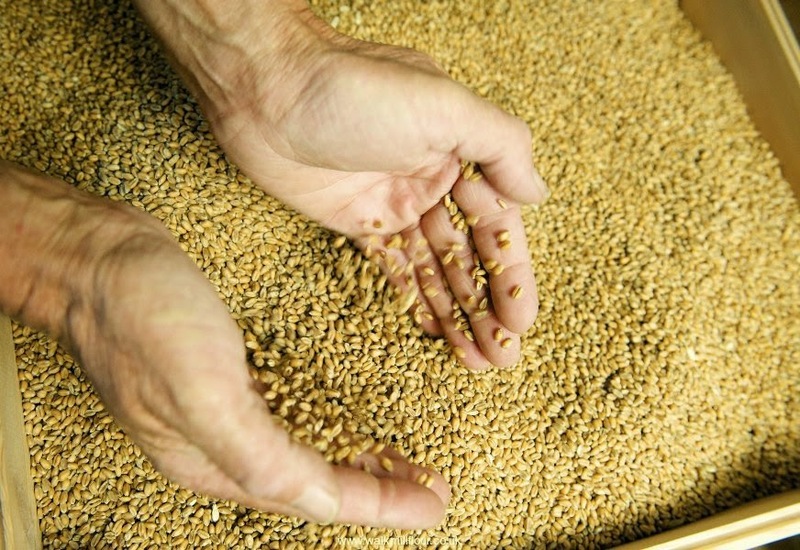 Jesus says to Peter, “Satan hath desired to have you, that he may sift you as wheat” (v. 31). As Joel Beeke point out in his little book Striving Against Satan, we must find the Biblical balance between liberals who deny Satan’s existence and some charismatics who become almost obsessed with Satan and give him too much power and too much place. Jesus’ words to Peter remind us that there is an unseen spiritual struggle. Second, Jesus’ peculiar wording here makes it plain that Satan only does what God in his infinite wisdom allows him to do. The KJV rendering is: “Satan hath desired to have you…” The verb here is ezaiteomai, which can mean demand but also to ask permission. So the NASB reads: “Satan has demanded permission to sift you like wheat.” And the NKJV: “Satan has asked for you, that he may sift you as wheat.” As in the opening chapter of Job when Satan must ask God’s permission before testing Job, so Jesus reminds us not only that Satan desires to do mischief to Peter but also that he only does what God in his wisdom allows. Third, though Jesus speaks to Peter directly, his mention of Satan’s desire is to harm all the disciples. The “you” here is a “you plural.” Satan hath desired to have you all. Fourth, notice Satan’s desire. Jesus uses a figure here to describe Satan’s wicked intent. He desires “that he may sift you like wheat.” The picture here would be of taking the wheat and sifting or shifting it in order to take out the impurities or insects or other non-wheat portions. Here, however, the metaphor is turned on its head. Satan does not desire to sift out the evil and ungodly, but he wants to sift out the good, the noble, the praiseworthy, the godly, the humble, the right, and the true. Jesus essentially tells Peter here that God is going to allow Satan to sift him. This will come when Jesus is arrested and Peter will deny Jesus three times. If left to Satan alone Peter would be completely lost, sifted down to nothing. Imagine if you desperately needed something done for you or given to you by a wealthy and powerful man, but you had no way to approach him. Now, how would it be if you knew his own dear son and that son went to the Father and made the request on your behalf? Would you not think better of your prospects? So, it is for the saints. KJV Romans 8:38 For I am persuaded, that neither death, nor life, nor angels, nor principalities, nor powers, nor things present, nor things to come, 39 Nor height, nor depth, nor any other creature, shall be able to separate us from the love of God, which is in Christ Jesus our Lord. We have assurance because Christ intercedes for us. Q 79: What is the duty of such as are rightly baptized? A: It is the duty of such as are rightly baptized, to give up themselves to some particular and orderly Church of Jesus Christ, that they may walk in all the commandments and ordinances of the Lord blameless. This is a place where the Baptist Catechism parts ways with the Westminster Shorter Catechism, upon which it is based. The WSC does not contain a question like this, because it carries different assumptions about what baptism means and who is a proper candidate for baptism. 1. You are part of the visible church at birth due to connection to believing parents. 2. You are baptized as an infant in recognition of your membership in the visible church. 3. You may or may not one day come to faith. If and when you should be converted and profess faith, you become part of the invisible church. 1. You profess faith in Christ and so join the invisible church. 2. You are baptized in recognition of your membership in the invisible church. 3. You give yourself up to membership in a visible church. I concluded by holding that the Credo-Baptist model simply stands on firmer Biblical ground. 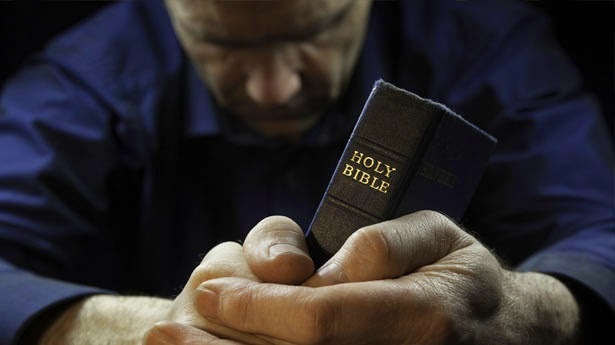 All we have to do is look at the book of Acts and see the experience and practice of the first Christians. After they heard the gospel, repented of their sins, and believed in Christ (so becoming part of the invisible church), they were then added to the visible church (cf. Acts 2:37-42, 46-47). Almost as soon as Calvinistic Baptists appeared on the scene in 1640s England, they demonstrated a whole-hearted commitment to evangelism and church planting. They were not alone, for many of the Puritans expressed concern for the regions of their country not yet blossoming with Gospel assemblies. None of these men could be content enjoying their own privileges, but actively engaged in seeking to bring the message of Christ to others. The growth of the early Particular Baptists is amazing. W. T. Whitley, in a 1910 article, estimated that in 1715 there were 220 Particular Baptist churches in existence in England and Wales, and about half as many General Baptist churches. Included in many of Whitley’s entries is a figure of approximate attendance. After extensive comparisons with other extant records, Michael Watts concludes that the figures are generally accurate for the period. When one remembers that in 1641 there were no Calvinistic churches practicing believer’s baptism by immersion, the statistics take on much meaning. Among the Particular Baptists, the work of church planting was often done through evangelists. This was not an office in the church, though the men involved were often elders, but rather appointed emissaries charged with the task of spreading the gospel and establishing churches. They carried with them authority from the sending churches. Two early examples of the convictions present in these churches provide the basis for later actions. 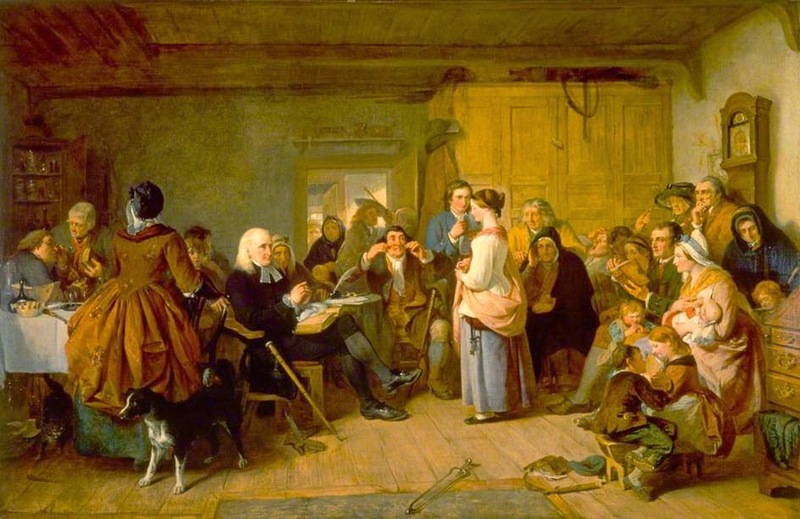 The terms in which they understood their mission are of considerable importance: they saw their task not only as concerned with the conversion of individuals to Christ but also with the foundation of congregations rightly ordered according to what they believed to be the one, unchanging, apostolic pattern. White is undoubtedly correct in this assessment. The well-ordered church was so central to the redemptive purposes of God that any kind of evangelistic thrust must seek, as its highest goal, to establish new assemblies. For these Welsh evangelists, one church was insufficient. The needs of the countryside were so great that only the founding of many churches would satisfy. This early perspective was active among the Particular Baptist churches. upon the 21st day of the 5th month, 1652 . . . after serious consideration and some gospel preparation, a living temple began of these living stones. . . . These, solemnly giving themselves to the Lord and one to another, to walk in communion together, with submission to all the ordinances of the Gospel, I, Tho. Tillam, espoused to one husband; hoping that I shall present them a chaste virgin to Christ. Summer is giving time for reading, including some things I don’t normally take time to read. I recently got interested, for example, in the story of the Somali/Dutch/American Ayaan Hirsi Ali after listening to/watching her online in several debates (like here) and presentations (like here) on Islam. She offers a powerful personal story and a strong critique of Islam, particularly with regard to its impact on women, as well as a compelling demonstration of conscience. She left Islam for atheism. One might wish (or might still hope?) she could have crossed paths with Christians who would have offered her a more compelling and winsome presentation of Biblical Christianity. 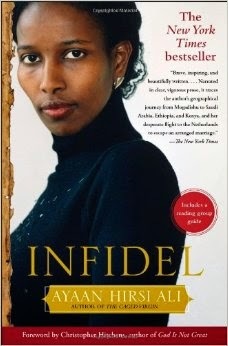 At any rate, I got a cheap used copy of her first biography Infidel (Free Press, 2007) through Abebooks.com and have been working through it during the evenings this week (It's like candy after reading Bauckham!). Aside from her compelling personal story and what she has to say about Islam and the West, I was particularly struck by the opening pages of Infidel in which Ali begins by noting how as a five year old child she was taught the genealogy of her father’s subclan back for three hundred years. She adds: “Later, as I grow up, my grandmother will coax and even beat me to learn my father’s ancestry eight hundred years back, to the great clan of the Darod…..” (p. 3). She also notes how when Somalis meet they usually rehearse their family lines to see if they can trace a common ancestor and thus solidify their relation. To a modern Western (American—at least) this is alien. My ancestral memory ends with my grandparents. I read this just after doing a lecture on the birth of Jesus for my "Life and Teaching of Jesus" summer course, and it made me think of the genealogies of Jesus in Matthew 1 and Luke 3. In his 1881 commentary on Luke, Frederick Godet notes that first century Jews would have regularly committed to memory and even held written records of their family lines, and he speculates that Luke might well have had access to records from Mary among the resources he amassed for compiling his Gospel (cf. Luke 1:1-4; 2:19). Tradition (represented, for example, in Augustine’s Harmony of the Gospels) upheld the historical value of the genealogies and harmonized the divergences between Matthew and Luke’s accounts. Some did this by positing that Matthew presents the line of Jesus via Joseph as his “legal” father and Luke presents the line of Jesus via Mary, his natural mother. Modern scholars, on the other hand, have typically tended to see the genealogies as holding little if any historical value and being hopelessly confused and irreconcilable. For many historical-critical scholars, influenced by modern redaction criticism, the genealogies are simply seen as theological fabrications of early Christianity. Reading Ali’s reflections on the strict learning of her family’s “bloodlines,” however, makes me wonder if contemporary Somali culture might be closer the first century Jewish culture in which Jesus lived and about which Matthew and Luke wrote. It seems perfectly reasonable, for example, that the family lines of Jesus would have been remembered and meticulously and faithfully transmitted. 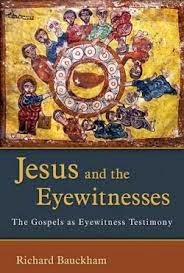 The early Christians who collected and revered the NT writings, including the Gospels and their authoritative accounts of the life of Jesus, were not fools. They knew that Matthew and Luke’s genealogies were different (most notably Matthew and Luke diverging at David with Matthew following the line through Solomon and Luke through Nathan). They did not , however, see this divergence as irrational or contradictory. It is therefore reasonable both to think that the genealogies of Matthew and Luke were accurate and that they were compatible. “However it—or the kind of extreme individualistic epistemology it embraces—can lead historians to an overly skeptical approach particularly to those sources that were intended to recount and inform events of the past, that is, testimony in this restricted sense. Particularly in Gospels scholarship there is an attitude abroad that approaches the sources with fundamental skepticism, rather than trust, and therefore requires that anything the sources claim be accepted only if historians can independently verify it…..
Young scholars, learning their historical method from Gospel scholars, often treat it as self-evident that the more skeptical they are toward their sources, the more rigorous will be their historical method. It has to be said, over and over, that historical rigor does not consist in fundamental skepticism toward historical testimony but in fundamental trust along with testing by critical questioning….” (p. 486). Reflections on Luke 22:21: Did Judas partake of the first Lord's Supper? Note: Here are some notes from last Sunday morning's sermon from Luke 22:21-30, reflecting especially on the question raised by v. 21 as to whether Judas partook of the first Lord’s Supper and, if so, what the implications might be from this. “But, behold, the hand of him that betrayeth me is with me on the table” (Luke 22:21). There is a debate about the chronology (the order of events in time) of what is described here. Namely: Was Judas the betrayer there at the table not only during the Last Supper (the Passover meal) but also at the first Lord’s Supper, as v. 21 may imply (coming just after Luke’s description of Jesus’ institution of this new covenant meal in vv. 19-20)? Both Matthew (26:19-25) and Mark (14:17-21) record that Jesus predicted the betrayal of one of the twelve during the Passover meal (and before the Lord’s Supper). John 13:26 Jesus answered, He it is, to whom I shall give a sop [piece of bread], when I have dipped it. And when he had dipped the sop, he gave it to Judas Iscariot, the son of Simon. 27 And after the sop Satan entered into him. Then said Jesus unto him, That thou doest, do quickly. 28 Now no man at the table knew for what intent he spake this unto him. 29 For some of them thought, because Judas had the bag, that Jesus had said unto him, Buy those things that we have need of against the feast; or, that he should give something to the poor. 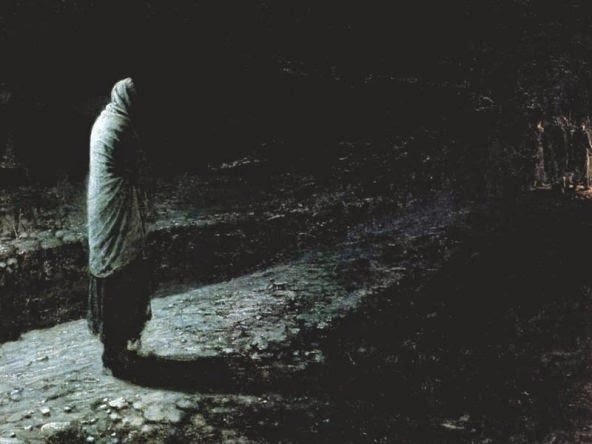 30 He then having received the sop went immediately out: and it was night. The question is whether Judas’ “going out” was after the Passover meal or after the Lord’s Supper. We must take Luke’s chronology seriously, since at the beginning of his Gospel he specifically says that he writes “all things from the very first … in order” (Luke 1:3). If Judas were there, this means that even at the very first Lord’s Supper a false professor was present. Even when our Lord was there physically at the head of the table, there was an unregenerate man present who ate and drank “unworthily” (1 Cor 11:29). This reminds me of Jesus’ parable of the wheat and the tares where the tare are allowed to grow among the wheat till the harvest when the weeds are separated from the wheat (Matt 13:24-30, 36-43). It is a reminder that in this age, though we should seek a pure and regenerate church, and though we should, for example, fence the table, we will not achieve absolute purity as the church militant here on earth. That will not come till we are the church triumphant in heaven. 1. We find the roots for the practice of church membership in practices of the Old Testament people of God where every person was in a specific family and tribe (cf. Numbers 4; Joshua 7:16-18; 1 Samuel 10:20-21). There was no such thing as a free-lance, unconnected Israelite! 2. Jesus’ command for love as a defining mark among his disciples can only be realized through participation in a defined local body (see John 13:34-35). 3. The descriptions of the local church in Jerusalem in Acts indicate a well defined body of believers (cf. Acts 1:15; 2:41, 47; 4:4). 4. The letters of Paul in the NT were generally addressed to defined churches in distinct geographical areas or to the acknowledged spiritual leaders of those bodies (cf. Rom 1:7; 16:4-5, 16; 1 Cor 1:2; 2 Cor 1:1; Phil 1:1; 1 Thess 1:1; 2 Thess 1:1). 5. The local church is necessary for the proper and healthy exercise of church discipline (cf. Matt 18:15-17; 1 Cor 5:4-5; 2 Cor 2:6; 1 Tim 5:9). 6. The existence of a defined local church is assumed in the New Testament both in the setting apart of persons to ministry service and in the exercise of spiritual rule (cf. Acts 6:2-3; Heb 13:7, 17). 19 And he took bread, and gave thanks, and brake it, and gave unto them, saying, This is my body which is given for you: this do in remembrance of me. 20 Likewise also the cup after supper, saying, This cup is the new testament in my blood, which is shed for you (Luke 22:19-20). First, the figurative nature of Jesus’ words: The superstitious view that the bread and cup are magically transformed (transubstantiated) into his body and blood is to be rejected. Jesus often used figurative language (cf. the “I am” sayings). Indeed, here the obvious sense is that the bread represents his body and the cup represents his blood. Second, the emphasis upon limited atonement or particular redemption: His body is “give for you”; his blood is “shed for you.” The “you” here in both cases in context refers to the disciples. He does not lay down his life for those who might hypothetically or possibly become his sheep. He lay down his life for his sheep (John 10:11). He shed his blood for them. Third, the command to continue to do this in remembrance of him: Jesus told his disciples to continue to do this in remembrance of him. 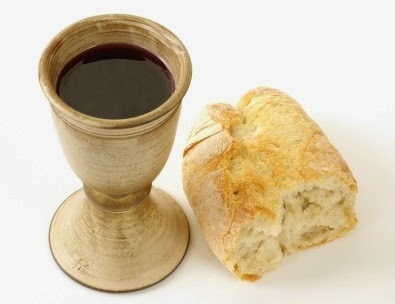 Paul says that as often as we eat this bread and drink this cup we do show the Lord’s death till he come (1 Cor 11:26). If we love Jesus, we will keep his commandments (John 14:15). Jesus calls the cup in particular a figure for “the new testament [covenant].” This covenant would not come through the perpetual sacrifices of animals in the temple but through the once for all sacrifice of Christ on the cross (cf. Hebrews 8:7-13 citing Jeremiah 31:31-34).